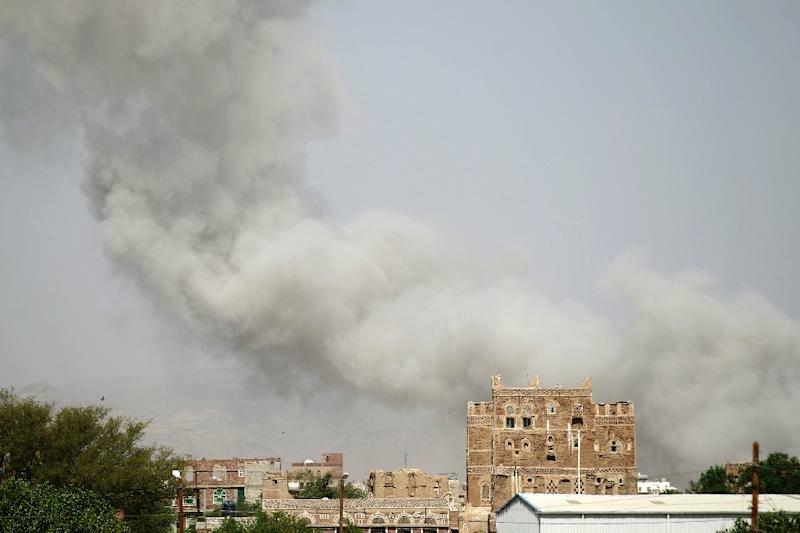 Sanaa (AFP) - A Saudi-led coalition pounded the rebel-held Yemeni capital with air strikes on Sunday in retaliation for the killing of 60 Gulf soldiers in a rebel missile attack. The United Arab Emirates had pledged to quickly avenge its heaviest ever military loss after 45 of its soldiers were killed in Friday's strike, along with 10 Saudis and five Bahrainis as well as four Yemeni troops. The UAE is part of a Saudi-led Arab coalition formed in March to try to reverse the gains of Iran-backed Shiite Huthi rebels and restore the rule of exiled President Abedrabbo Mansour Hadi. 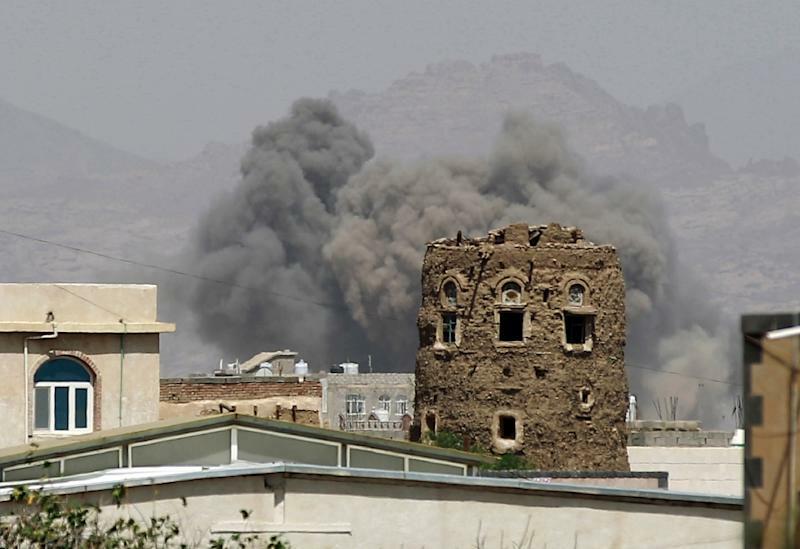 Sunday's air raids, coinciding with funerals in the Emirates, pounded positions of the rebels and renegade troops loyal to ousted president Ali Abdullah Saleh. Coalition warplanes hit military bases on the capital's Nahdain and Fajj Attan hills and the neighbouring presidential complex, south of Sanaa, as well as a special forces headquarters. Also targeted were Huthi positions in the northern areas of Sufan and Al-Nahda, forcing scores of residents to flee, and rebel positions near the Saudi and Emirati embassies, witnesses said. Sunday's bombardment was one of the heaviest of the six-month-old air campaign. "The first strike after dawn prayers shook our house," said Sadeq al-Juhayfi, a resident of Al-Haffa, southeast of Sanaa, where a military base was targeted. Normally bustling areas of the city remained empty with most shops shuttered. Students taking exams at Abdulrazzaq al-Sanaani high school, in Hadda neighbourhood, said they abandoned their tests and fled. "We usually get hundreds of customers... Today, workers have run away and there are no people in the street," said Kamal al-Majidi, a waiter at a restaurant in Hadda. Elsewhere, coalition warplanes targeted rebels in Bayhan, in the southern province of Shabwa, military sources said. In neighbouring Baida province, at least 27 people were killed -- 14 rebels, 10 loyalist fighters and three civilians -- in two days of coalition raids on the town of Mukayris, military sources said. The Huthis said Friday's missile attack was "revenge" for the six months of deadly air raids, but the coalition vowed there would be no let-up in its air war. The Huthis, who have long complained of marginalisation, descended from their northern stronghold last year and seized Sanaa unopposed before advancing on second city Aden in March. The coalition launched the bombing campaign when President Hadi fled to Saudi Arabia in March after the rebels entered his last refuge, Aden. After loyalists recaptured the southern port in July, the coalition launched a ground operation that has seen the rebels pushed back from five southern provinces. Friday's losses were the heaviest for the military of the UAE since the formation of the federation in 1971, and the oil-rich Gulf state vowed to retaliate. "Our revenge shall not take long," Emirati media quoted Abu Dhabi Crown Prince Sheikh Mohammed bin Zayed as warning. "We will press ahead until we purge Yemen of the scum." UAE newspapers published images of funerals for the soldiers, while and Abu Dhabi schools observed a one-minute silence. National radio and television stations have played music and special Koranic recitals to honour the fallen. The Huthis said they had used a Tochka missile to attack the Safer camp in Marib province of eastern Yemen. Four Yemeni soldiers also died in the attack, the coalition spokesman said Sunday, quoted in Saudi daily Asharq Al-Awsat. The rebels hailed the missile strike as "revenge for the crimes and the war of extermination being carried out by the Saudi aggressor and its mercenaries". Loyalist military sources said the coalition had reinforced Safer this week with tanks, armoured vehicles, troop carriers, rocket launchers and Apache helicopters. Upwards of 4,500 people have been killed in the Yemen conflict, including hundreds of children, according to the UN which has warned that the country is on the brink of famine. 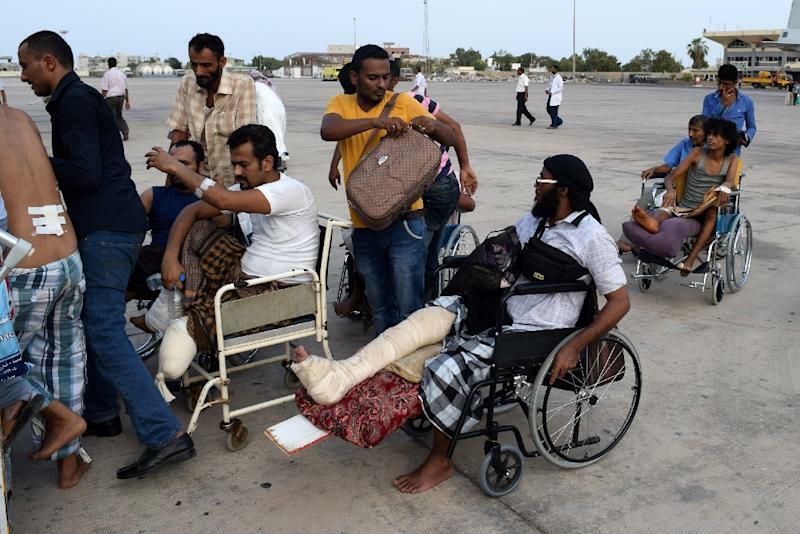 More than 260 wounded people, mostly civilians, were flown from Aden to coalition member Jordan on Sunday for medical treatment.